Planning for an offbeat vacation without any hectic itinerary? Well, soak yourself in the love of nature in one of the lesser explored yet picturesque states in India. Yes, choose a worthy Mizoram Tour Package and visit the amazing state featuring the treasure trove of unspoiled natural beauty. Mizoram, the lesser explored beautiful state is best for travellers from across the world looking for uninterrupted holiday destination in India. If you want to enjoy your days amidst nature, with rural tribal people, knowing about the ethnicity and tradition of the country while peeping into the simple life of ancient people, Mizoram will be the right bet. This land of hilly landscape and undulating people, the state is literally bestowed with spick and span tourist destinations that can be well explored during your weeklong trip. Dotted with tranquil lakes, wooded lush forests, cascading waterfalls and steep hills, the state has a lot to offer its visitors. Besides, it is known for different festivals, dance form and cultural richness. And this is not all! The state is famous for its rich ecosystem and handicrafts as well. 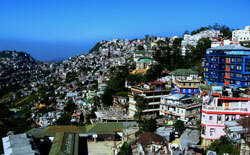 Apart from its capital, Aizawl, the state has many more places to explore. Day 1 - Aizawl: On Day 1, transfer to your pre-booked hotel for stay. The entire of the day is free for leisure or holiday activities like interact with the locals, enjoy the surrounding nature beauty, leisure walk to the surrounding areas or taste the local renditions. Overnight stay in Aizawl. Day 2 - Aizawl: On Day 2, after complete the breakfast; enjoy sightseeing in and near Aizwal. During sightseeing you can cover and enjoy the famous museums, Handloom and Handicraft centers and the Zoological Garden in Durtlang. After that, visit to the nearby Mizo tribal hamlet. Enjoy the traditional lifestyle and culture of the people. Such villages are generally formed on a hill from where you can observe a mesmerizing view of the surrounding areas or region. At the evening is arranged for shopping at the Bara Bazar. Overnight stay at the Aizwal. Day 3 - Aizawl - Vantawng: After you have completed the breakfast, visit the road to Vantawng. After arrival, need to complete the check-in formalities and procedure at your hotel. Later that proceeds to visit to the Vangtawng falls. This place is situated on the highest level in Mizoram. The waterfalls are covered by dense bamboo forests. Spend entire the day at leisure. You can enjoy a boat ride in the evening in this beautiful place and enjoy the beauty. Night stay in the hotel. Day 4 - Vantawng: Day 4 is booked or visit for discovering Vantawng, surrounding a nearby tribal village. The tribal people of Mizoram are well-known for their behavior, hospitality and are a close-knit group. Visit their beautiful huts and enjoy their daily livelihood activities. Later, visit to the Thenzawl waterfall, known as Tuirihiau. After that overnight stay in the hotel. Day 5 - Vantawang - Aizawl: On Day 5, in the morning, after breakfast, drive towards the Aizawl. On your arrival, you will check-in your hotel room, freshen up and take a rest. You may use the remaining time of the day exploring the nearby attractions and scenic beauty. Take a leisure walks, talk to the locals, discover the local markets, explore the taste scrumptious local renditions, etc. Thereafter, return to your hotel room for dinner and overnight stay. Day 6 - Aizawl - Champai: On day 6, after breakfast, drive to the Champai. This town is situated on Indo-Myanmar border. After reaching to the Champai, take pleasure or enjoy in the natural setting of the place and observe the enchanting view of the Bilauktaung Range of Burma. You may spend the entire hours of the day at leisure. Take leisure walks down the streets. Return to your hotel room in Champai for an overnight stay. Day 7 - Champai - Aizawl: Day 7, after breakfast, drives back to the Aizawl. This day is to be spent at relaxation in Aizawl. You may visit the local markets to purchase traditional artifacts as souvenirs or observe the surrounding areas. You may also enjoy the tasting some of the delectable traditional delicacies of Aizawl. Interact with the local peoples and enjoy visiting the nearby attractions and scenic beauty. Thereafter, return to your hotel for dinner and stay for overnight. Day 8 - Aizawl: On Day 8, early morning, enjoys the post breakfast, get moved to the Aizawl Airport to board the flight. This virgin northeastern state of India that is known for cultural splendour and religious customs practiced by the tribal people. Blessed with the immaculate geographical features and natural beauty, the state awaits you to come, enjoy and leave thrilled. And here are the things that you must scout. It would be a good idea for you to consider visiting Mizoram from the month of October to March. Try to avoid going there in the monsoon as the rains make sightseeing and partaking in outdoor activities extremely difficult, and the entire experience may get hampered as a result. Nature's paradise Mizoram will leave you literally mesmerized with its flawless natural beauty. Its diversified terrain and varied cultures make the visit to the state a divine experience. For the travel buffs, Mizoram is a comprehensive package offering an unconventional way of knowing the nature and a peek into its culture showcasing traditional food, attire and lifestyle to add a special zing to your travel diary. Here are the places that you must not miss during your visit to the state. Aizawl - The state capital and the home to Mizoram State Museum while being the cultural and religious hub of the Mizo people. Serchip - Famous for its highest literacy rate in India. Champai - This strategically planned town is known for its beautiful terrain nestled among the hills as well as a budding culture. Lunglei - This 'Bridge of Rock' is known for its natural setting and picturesque beauty. Saiha - Located at an average height of 729 metres above sea level this census town is the perfect destination for the angling enthusiasts. Dampa Tiger Forest - This splendid wildlife sanctuary is amidst dense, deep and tropical forests of Mizoram. It is known for featuring a variety of fauna and flora. Falkawn Village - This model village depicts the lifestyle of Mizo people. Phawngpui - This serene village is best for its natural beauty and perfect to get away from the hectic hustle and bustle of city life.